There are many New England Patriots fans cleaning up their living rooms, game rooms and dens, from the nachos, 7-layer dips, wings, and beer, that was part of the game-time tradition for today’s championship game. I too am a fan although not as big a fan as others in my family; but I too am disappointed as the game clock got to its inevitable end so too did the Patriots 203-14 season. I’ll admit that when it comes to sports teams, I’m not a fair weather fan, I’ll stick by my team(s) through thick or thin; I am Boston Red Sox fan after all. As fans we want to enjoy what we’re watching and winning makes the watching easier, for sure. And, as fans, we have our favorites, the ones who bring us the most joy to watch. One of my favorite sports to watch over the years has been figure skating. I never really got the hang of skating, using double runner skates and never graduating to single blades. But, ever since we saw Scott Hamilton live in 1980, I’ve enjoyed watching the flow over the ice, the costumes, the clever choreography and the beautiful music. Like any devoted fan, I have a few favorites among all the very well-known and talented athletes; the ones who’ve actually made me cry when I seen them first glide onto the ice for their performance. 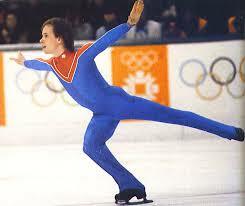 Torvil and Dean, Roca and Sur, Robin Cousins, Kurt Browning, Kristi Yamaguchi; and of course Scott Hamilton. The passion they emit as they make meaning in every movement is simply amazing. My favorite though, my all-time-would-love-to-see-again-because-she-gives-me-goose bumps-just thinking-about-it-is: Michelle Kwan. (Check out the You Tube video and tell me she’s not the best you’ve ever seen!) When she was skating it was a tough choice to make on a Sunday afternoon in the winter between football and figure skating; there was no dvr-ing then. Michelle always won out! I could watch her skate over and over, which I’ve done on You Tube lately. When she stopped skating, I stopped watching–with any regularity. 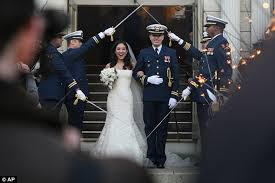 One year ago today Michelle married a Clay Pell, a fellow Rhode Islander. My hope is that some day, like his grandfather, he becomes governor. I could totally she Michelle Kwan as first lady of my home state! Happy anniversary, Michelle. As one of your fans, I want to say thank you for entertaining me, moving me to tears, and bringing me joy throughout your figure skating career! ← The Luckiest Person, Me!